War is very simple, direct and ruthless. It takes a simple, direct and ruthless man to wage war. The Los Angeles Times published two photos on April 18 that show 82nd Airborne soldiers posing with the remains of suicide bombers in Afghanistan. The uproar has been immediate, predictable–and laden with moralistic hypocrisy. First, soldiering is by its nature a brutal business–starting in boot camp. Second, atrocities in wartime are nothing new–including for U.S. forces. In this concluding post, I’ll offer three more important truths about armed conflict–and the soldiers who wage it. On August 8, 1989, the Taliban attacked Mazar-i-Sharif. Of 1,500 defenders only 100 survived the engagement. Talibanists began shooting people in the street, then moved on to mass rapes of women. Thousands of people were locked in containers and left to suffocate. In areas they controlled, the Taliban forbade women to leave their homes unless accompanied by a male relative and wearing the burqa–a traditional dress covering the entire body. Those who disobeyed were publicly beaten. In 1999, hundreds of men, women and children were executed when the town of Bamyan was overrun.. Houses were razed and some survivors were used for forced labor. Fourth, all soldiers–including those of the United States–distinguish between legitimate enemy soldiers and “guerrillas” who violate the most basic rules of war. During the American Civil War, soldiers of both Southern and Northern armies despised “guerrillas” who raped women and murdered defenseless men. General Robert E. Lee, whose Army of Northern Virginia repeatedly threatened to capture Washington, D.C., was allowed to surrender with honor. Missouri guerrilla William “Bloody Bill” Anderson–whose outfit included future outlaws Jesse and Frank James–was detested for his litany of atrocities. He was hunted down, shot, and exhibited to photographers by gleeful Union soldiers. His body was paraded through the streets of Richmond, Missouri. Taliban fighters are not considered legitimate soldiers–by the American military or that of any other country. They do not abide by the Geneva Convention–and as designated terrorists, are especially feared and despised. During World War II, British and German soldiers fought a relatively “clean” war in North Africa–with strictly-observed truces and exchanges of wounded and dead. German Field Marshal Erwin Rommel–who fought with chivalry–was almost as revered by the British “Tommies” as by his own men. Fifth, those who provoke war do not have a right to dictate how their opponents should defend themselves. Israelis have learned to deter Palestinian suicide-bombers by the use of police dogs. Muslims consider dogs defiled—and defiling—creatures. Islamic terrorists fear that blowing up themselves near a dog risks mingling their blood with that of the dead or wounded animal—thus forfeiting their opportunity to enter Paradise and claim those 72 willing virgins. After 9/11, American Intelligence quickly determined that Osama bin Laden–then living in Afghanistan–had masterminded the attacks. The Bush administration demanded that the Taliban surrender him. They refused–and American forces began attacking Afghanistan in October, 2001. Wars aren’t waged–or won–by men armed with teacups. When facing the tanks of a Heinz Guderian or Erwin Rommel, you need a George S. Patton or Douglas MacArthur–not a Shirley Temple. If American political and military leaders aren’t willing to wage war as ruthlessly as their enemies, they shouldn’t wage it at all. And if they aren’t willing to fully support the soldiers they send into harm’s way, they should resign from office–and make room for those who will. Paratroopers for the 82nd Airborne Division arrived at a police station in Afghanistan’s Zabol province in February, 2010. Afghan police had recovered the mangled remains of a suicide bomber. The soldiers’ mission: If possible, take his fingerprints for identification. The soldiers inspected the body parts–and then posed for photos next to Afghan police. Some troopers held the corpse’s severed legs, while others squatted beside the limbs. Still other soldiers grinned into the camera. Several months later, the same platoon was ordered to investigate the remains of three Afghans who police said had accidentally blown themselves up. After obtaining fingerprints, the soldiers posed next to the remains, again grinning and mugging for photographs. Two troopers posed holding a dead man’s hand with the middle finger raised. A soldier leaned over the bearded corpse while clutching the man’s hand. Two years later, all hell has broken loose. A soldier from the division gave the Los Angeles Times 18 photos of soldiers posing with corpses. He said the photos depicted a breakdown in leadership and discipline that he believed compromised the safety of the troops. The Army immediately launched a criminal investigation of the soldiers shown in the photos. A contest soon erupted between military officials and politicians–to determine who could prove the most holier-than-thou. White House Press Secretary Jay Carney called the soldiers’ behavior “reprehensible,” and said President Obama wanted a full investigation. U.S. General John Allen, the NATO commander in Afghanistan, and American Ambassador Ryan Crocker, who were alerted that the photos were coming, condemned the actions even before the photos were published online. U.S. Sen. John McCain, R-Arizona, who served in Vietnam and was a prisoner of war, said the photos do not represent the behavior of the majority of American troops. Americans weren’t the only ones to express outrage at the photos. So did Afghans. “We condemn Americans posing with dead bodies or body parts,” said Najla Dehqan Nezhad, a member of parliament from the western province of Herat. Suicide bombers cause hundreds of Afghan civilian deaths every year–and are thus widely despised. But in this religiously backwards country, the taboo against desecration of the dead remains strong. The purpose of boot camp is to “break down” the restraints of pacifism and individuality and turn “boys” into “fighting men.” This must be done in weeks, so the process is shockingly brutal. Denigrating the enemy is a time-honored habit in all armies–including those of the United States. Throughout the army’s wars against the Indians, soldiers and scouts–such as William F. “Buffalo Bill” Cody and James Butler “Wild Bill” Hickok–routinely took scalps as trophies. During World War II, Marines posted in the Pacific rarely took prisoners. The reason: Japanese soldiers often pretended to surrender–and thus lured American troops into ambushes. During World War II, GIs fighting in the European theater generally shot fanatical Waffen-SS soldiers–including those who tried to surrender. This was especially true during the Battle of the Bulge, when English-speaking Germans wearing American uniforms created panic among Allied forces. During Vietnam, some “grunts” made necklaces of ears taken from dead Vietcong. Vietnam Correspondent Michael Herr, in his book Dispatches, relates the story of a grunt who was “building his own gook” from actual body parts. Secret Service (SS) agents are expected to take a bullet–if necessary–for the President. But at least 11 such agents may have put the equivalent of a bullet through their careers. That’s how many agents have been put on on administrative leave amid allegations they brought prostitutes back to their hotel rooms in Cartagena, Colombia. They did so while arranging security for President Barack Obama’s April 14-15 visit to the city for the Summit of the Americas. The agents’ top secret security clearances have been revoked and they have been barred from entering Secret Service facilities worldwide. And the scandal threatens to become a major Congressional investigation. “If you look at how you get somebody to do something wrong, you do it incrementally–something small, something bigger, something bigger,” said Issa, chairman of the House Oversight and Government Reform Committee. In the world of espionage, using women to ensnare blackmail victims is called a “honey trap.” The CIA, KGB, Mossad, and MI5 intelligence agencies have all employed this technique. Issa ssid that his committee “will look over the shoulder of the inspector general” as he investigates the scandal. 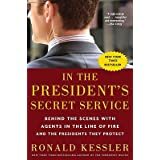 If Issa wants to introduce serious reforms to the Secret Service, there is an excellent place for him to start: In the President’s Secret Service, a 2009 book by the respected author Ronald Kessler. Kessler praised the courage and integrity of Secret Service agents as a whole. But he warned that the agency was risking the safety of many of its protectees, including President Obama. Shutting off weapon-scanning magnetometers at rallies for Presidential candidates–and even for Presidents George W. Bush and Obama. During a speech Bush gave at Tbilisi, Georgia in 2005, an assailant threw a live hand grenade–which failed to explode–at him. Despite 9/11, Secret Service agents are still being trained to expect an attempt by a lone gunman—rather than a professional squad of terrorist assassins. The Service’s Counter Assault Teams (CATs) have generally been cut back from five or six agents to two, rendering them useless if a real attack occurred. Salaries paid to SS agents have not kept pace with reality. Veteran SS men and women are now being offered up to four times their salary for moving to the private sector, and many are leaving the agency for that reason. While Congress has greatly expanded the duties of this agency, Secret Service management has not asked for equivalent increases in funding and agents. A third reason why many agents are leaving is the widespread knowledge that it takes “juice” or connections with top management to advance one’s career. SS agents are being trained with weapons that are outdated (such as the MP5, developed in the 1960s) compared to those used by other law enforcement agencies and the potential assassins they face (such as the M4–with greater range and armor-piercing capabilities). The Service refuses to ask for help from other agencies to meet its manpower needs. Thus, a visiting head of state at the U.N. General Assembly will generally be assigned only three agents as protection. The agency tells agents to grade themselves on their physical training test forms. The Secret Service inflates its own arrest statistics by claiming credit for arrests made by local police. Congressional members who visit the agency’s Rowley Training Center in Laurel, Maryland, are treated to rehearsed scenarios of how the agency would deal with attacks. If agents were allowed to perform these exercises without rehearsals, Congressional members would see they can and do make mistakes like anyone else. Kessler closes his book with the warning: “Without….changes, an assassination of Barack Obama or a future president is likely. “By definition, an assassination threatens democracy. “If Abraham Lincoln had not been assassinated, Andrew Johnson, his successor, would not have been able to undermine Lincoln’s efforts to reunite the nation and give more rights to blacks during the Reconstruction period. The Treasury Department fears that widespread public anger at some of its major economic programs–such as the bank bailout–will deter government officials from intervening in future crises. As a result, the Treasury Department hopes to regain the public’s trust by issuing a series of economic charts. Unfortunately, the Treasury’s chart-topping effort will go for nothing. But a different approach might well salvage some public faith in the Treasury Department’s judgment: Greed-test CEOs for future government loans. “Those of us who have looked to the self-interest of lending institutions to protect shareholder’s equity–myself especially–are in a state of shocked disbelief,” said Greenspan, who had ruled the Fed from 1987 to 2006. “Enlightened self-interest,” he believed, would guarantee that those who dedicated their lives to making money would not allow mere greed to steer them–and the country–into disaster. Greenspan proved wrong. And the nation will be literally paying for such misguided confidence in profit-addicted men for decades to come. That is–the men (and occasionally women) who run the nation’s most important financial institutions, such as banks, insurance and mortgage companies. The United States has a long and embarrassing history in worshipping wealth for its own sake. Part of this can be traced to the old Calvinistic doctrine that wealth is a proof of salvation, since it shows evidence of God’s favor. Another reason for this worship of mammon is the belief that someone who is wealthy is automatically endowed with wisdom and integrity. Following these beliefs to their ultimate conclusion will transform the United States into a plutocracy–a government of the wealthy, by the wealthy, for the wealthy. Every day we see fresh evidence of the destruction wrought by the unchecked greed of wealthy, powerful men. When they–and their paid shills in Congress–demand, “De-regulate business,” it’s essential to remember what this really means. The story noted that the public had fused the $700 billion Wall Street bailout with the $787 billion stimulus–and had fiercely attacked the latter. It was the Wall Street bailout that ignited the Tea Party movement. And Tea Partiers won’t stop demanding the firing of Treasury Secretary Timothy Geithner just because his agency draws up a few pie-charts. Yet the Treaasury Department might yet salvage at least some part of the public trust. The solution: Greed-testing for CEO’s. Throughout the past year Republican lawmakers have pursued welfare drug-testing in Congress and more than 30 states. FDIC bank takeovers: Cost to FDIC fund that insures losses depositors suffer when a bank fails. $45.4 billion billion invested. Total of federal monies invested: $3 trillion. It’s important to note that these figures–supplied by the Federal Reserve, Treasury Department, Federal Deposit Insurance Corporation, Congressional Budget Ooffice and the White House–date from November 16, 2009. The 2010 documentary “Inside Job” chronicles the events leading to the 2008 global financial crisis. One of its most insightful moments occurs at a party held by then-Treasury Secretary Henry Paulson. “We can’t control our greed,” the CEO of a large bank admits to his fellow guests. In time, this incessant craving for pleasure becomes an addiction. And feeding that addiction–with ever more money–becomes the overriding goal. Thus, the infamous line–”Greed is good”–in the 1987 film, “Wall Street,” turns out to be both false and deadly for all concerned. I built a bike piece by piece over the course of a year, I’ve read all the rules and regulations for my state, and one day I hope to participate in the community driven event called Critical Mass. Does that make me a thug? You seem like you wrote this angry, why are you being so prejudice against people on bikes? Your article makes me think you like would rather bikes be outlawed. Why are you so mad at an entire community based on specific actions of a few? I once owned a bike and enjoyed riding it–on the street. It’s a great way to exercise and travel faster than you can on foot–without having to own or maintain an expensive car. In addition, there are bike trails–in San Francisco and other cities–where people can pedal away without risk to themselves or others. If the goal of Critical Mass is to propularize bicycling, then it has failed miserably. Forcing untold numbers of people–in buses, in cars and on foot–to wait endlessly for a needless procession by hundreds of arrogant, self-indulgent bikers arouses only frustration and anger. And why are these people waiting endlessly? drivers fear causing injury or death to bikers and facing lawsuits as a result. It would be one thing if one or more bicyclists had to carry out an emergency ride for, say, medical or police help. No one could begrudge their taking shortcuts, especially at the risk of their own lives. It would also be acceptable if even large numbers of bikers held a race within a designated area–such as happens at the Daytona 500. But you don’t see racing car drivers turning the streets of major cities into Death Race 2000 marathons, where the lives of other drivers and pedestrians are placed at risk. Of course, you don’t have to wait for a Critical Mass rally to have your life placed in danger by bikers. You have only to step onto a sidewalk and have a bicycle whiz by, missing you by inches, to realize you just stared death in the face. And you did it for no other reason than a biker decided it was better to risk pedestrian lives on a sidewalk than to risk his own riding on the street. I take the view: “Your right to swing your fist ends where my nose begins.” And my right to swing my fist ends where your nose begins as well. I don’t believe that all bikers break the law or act thuggishly. But I believe that far too many of them do. And when this happens they should be held legally accountable–before they bring injury or death to one or more pedestrians or afterward if they do cause such harm. Yes, I am angry at those bikers who take stupid risks with the lives of others–and their own. I can’t tell you how many times I’ve come close to serious injury or worse at the wheel of a biker racing along a sidewalk. But I am just as angry at city officials who deliberately ignore what is happening daily on the sidewalks of this city and refuse to enforce the laws already on the books. In short: It isn’t necessary–or even desirable–to outlaw bikes. But it is essential to put a stop to the potentially lethal behavior of bike outlaws. San Bruno resident Sutchi Hui, 71, was visiting San Francisco when Death found him. No doubt he felt safe before it snatched him away–just before 8 a.m. on March 29. After all, he was walking through a crosswalk in the affluent Castro District, one of the city’s safest areas. It was there that bicyclist Chris Bucchere plowed into him. Bucchere was also hospitalized for injuries in the crash. Later that day, he appears to have posted his thoughts about the accident to the Mission Cycling AM Riders Google group. According to the post, Bucchere was about to cross Market Street when the traffic light ahead of him turned yellow. “I was already way too committed to stop,” the post states. “The light turned red as I was cruising through the middle of the intersection and then, almost instantly, the southern crosswalk on Market and Castro filled up with people coming from both directions…. The author says he lost consciousness and awoke five minutes later. Someone told him that a 71-year-old injured pedestrian had been taken to the hospital. Prosecutors for the San Francisco District Attorney’s office are treating the post as having been written by Bucchere, said Omid Talai, the agency’s spokesman. Whether they indict Bucchere, prosecutors shouldn’t be surprised that Hui died as he did. The wonder is that far more San Francisco pedestrians don’t meet the same fate. In July, 2011, bicyclist Randolph Ang, 23, ran a red light on the Embarcadero–and slammed into 68-year-old Dionette Cherney. She later died of her injuries. In March, Ang pleaded guilty to one misdemeanor charge of vehicular manslaughter, as part of an agreement with prosecutors. Although Ang faced up to a year in county jail, a judge sentenced him to three years’ probation and 500 hours of community service, and ordered him to pay $15,375 in restitution to the Cherney family. That’s what the life of a pedestrian is worth in San Francisco. So much for the official version. In reality, pedestrians risk their lives whenever they use the sidewalk–especially on tourist-crowded Market Street. And if you’re wondering what role the police have to play in enforcing the bike laws, the answer is: None. At best, a San Francisco cop might stop a law-breaking bicyclist and give him a citation. This amounts to a bicycle traffic ticket. The bike isn’t confiscated. Most cops patrol in patrol cars. If they see a bicyclist whizzing down a sidewalk, they aren’t going to cut him off and slap handcuffs on him. If police show no interest in protecting pedestrians, it’s due in large part because the mayor and Board of Supervisors clearly favor the rights of law-breaking bicyclists over those of law-abiding pedestrians and drivers. The greatest proof of this comes on the last Friday of every month. It’s called Critical Mass. In this event, hundreds of bicyclists deliberately–at the height of evening rush hour–overwhelm the streets of downtown San Francisco, bringing vehicular and pedestrian traffic to a halt. Founded in 1992 in San Francisco, the purpose of Critical Mass is not formally stated. But it is clear to anyone who isn’t an egotistical thug: To protest against those who use cars and public transit–and intimidate their riders and pedestrians alike. Critical Mass riders often use a tactic known as “corking” to maintain the cohesion of the group: A few riders block traffic from side roads so that the mass can race through red lights without interruption. Cars, buses and pedestrians are expected to wait patiently for however long these self-indulgent thugs-on-bikes flood the streets. In March, 2010, reports in local media claimed that Police Chief George Gascon was considering shutting down Critical Mass. Two years later, the bike-thuggies continue to tie up traffic and threaten the safety of any pedestrians stupid enough to think they have a legal right to stroll sidewalks and cross streets. Would-be CEOs and Fuehrers, listen up: Character is destiny. Case in point: The ultimate Fuehrer and CEO, Adolf Hitler. Ever since he shot himself in his underground Berlin bunker on April 30, 1945, historians have fiercely debated: Was der Fuehrer a military genius or an imbecile? With literally thousands of titles to choose, the average reader may feel overwhelmed. 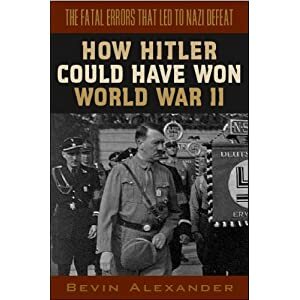 But if you’re looking for an understandable, overall view of Hitler’s generalship, an excellent choice would be How Hitler Could Have Won World War II by Bevin Alexander. Wasting hundreds of Luftwaffe pilots, fighters and bombers in a half-hearted attempt to conquer England. Ignoring the pleas of generals like Erwin Rommel to conquer Syria, Iraq and Saudi Arabia–thus giving Germany control of most of the world’s oil. Needlessly turning millions of Russians into enemies rather than allies by his brutal and murderous policies. Refusing to negotiate a separate peace with Soviet dictator Joseph Stalin–thus granting Germany a large portion of captured Russian territory in exchange for letting Stalin remain in power. Insisting on a “not one step back” military “strategy” that led to the unnecessary surrounding, capture and/or deaths of hundreds of thousands of German servicemen. As the war turned increasingly against him, Hitler became ever more rigid in his thinking. He demanded absolute control over the smallest details of his forces. This, in turn, led to astounding and needless losses in German soldiers. One such incident was immortalized in the 1962 movie, The Longest Day, about the Allied invasion of France known as D-Day. On June 6, 1944, Rommel ordered the panzer tanks to drive the Allies from the Normandy beaches. But these could not be released except on direct order of the Fuehrer. As Hitler’s chief of staff, General Alfred Jodl, informed Rommel: The Fuehrer was asleep–and, no, he, Jodl, would not wake him. By the time Hitler awoke and issued the order, it was too late. Nor could he accept responsibility for the policies that were clearly leading Germany to certain defeat. Hitler blamed his generals, accused them of cowardice, and relieved many of the best ones from command. Among those sacked was Heinz Guderian, creator of the German panzer corps–and thus responsible for its highly effective “blitzkrieg” campaign against France in 1940. Another was Erich von Manstein, designer of the strategy that defeated France in six weeks–something Germany couldn’t do during the four years of World War 1. Hitler had launched the war with a lie–that Poland had attacked Germany, rather than vice versa. And he closed the war–and his life–with a final lie. All of which, once again, brings us back to Niccolo Machiavelli, the father of political science. It is a chapter that Adolf Hitler would have done well to read. “…A truly great man is ever the same under all circumstances. And if his fortune varies, exalting him at one moment and oppressing him at another, he himself never varies, but always preserves a firm courage, which is so closely interwoven with his character that everyone can readily see that the fickleness of fortune has no power over him. “The conduct of weak men is very different. Made vain and intoxicated by good fortune, they attribute their success to merits which they do not possess, and this makes them odious and insupportable to all around them. “And when they have afterwards to meet a reverse of fortune, they quickly fall into the other extreme, and become abject and vile. Stay alert to signs of such character flaws among your own business colleagues–and especially your superiors. They are the warning signs of a future catastrophe. Or, worse, the company had lied when it promised to provide Dave with a service it couldn’t deliver. Be prepared to clearly outline your problem. Know which State/Federal agencies hold jurisdiction over the company. Phone/write the company’s president. This shows that you’ve done your homework–and deserve to be taken seriously. Remain calm and businesslike in your correspondence and/or conversations with company officials. Don’t fear to say you’ll contact approrpriate government agencies if necessary. Consider hiring an attorney and filing a lawsuit.